On Saturday, May 21st the Servant Sisters of Brignano enjoyed an entire day in a get together with elementary school girls. It was a beautiful morning, with the sun shining brightly. At 10:00 a.m. the house began to get filled with girls and, to start getting to know each other, we started the get together playing some games in the courtyard located in the front. Then we went to say hello to Jesus in the Blessed Sacrament who was waiting for us in the Chapel, a date that all the girls always wait for with great enthusiasm. There we prayed and sang to Him. Then we had a super cool activity, “the game of the envelopes”, which consisted in overcoming various tests carried out by teams. As we were in the month of May, all tests had to do with Our Mother. 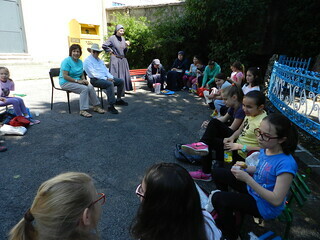 It was a lot of fun and it also helped us to learn many things about the life of the Virgin Mary. Before continuing with more activities, we needed to stop to eat because the girls were hungry. Since it was such a beautiful day, we had lunch in the shrine dedicated to Our Lady of Lourdes, located in the courtyard. While there, two important people came to greet us: the parents of Sr. Annemarie Naiman, coming from the United States, who were visiting in Brignano. So we had some international food, and the girls interviewed the Naiman’s, asking them questions and practicing all the English that they knew. We also sang and we took some pictures. It was fun and we learned a lot from each other. 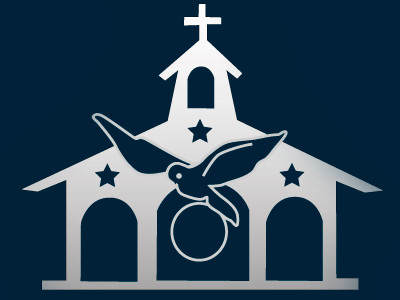 After eating, we had a meeting in which we spoke about who the Virgin Mary is and how much she loves us and wants to help us. To show our gratitude, we did a mini procession praying the Rosary around the yard. 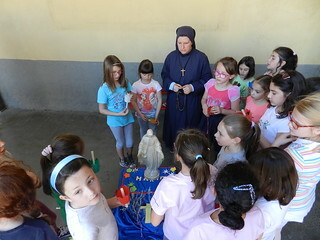 But before setting out, the girls were divided into groups to make little altars, in which we would stop with the image of the Virgin Mary that we carried on a platform. 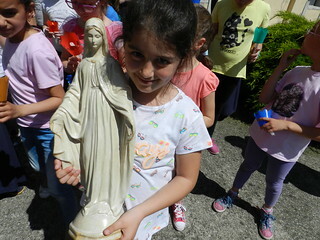 Our last stop was at the Shrine of Lourdes, where we found a letter from the Virgin Mary and some very colorful bracelets that were, in fact, rosaries for the girls, so that all could continue praying it at home, on the street... where ever. We have such a good Mother! After the procession with the Virgin Mary, we did a handcraft: a very nice moneybox in the shape of a small house. We hope that in this way they always remember the poor. After we finished the craft, and before the end of the get together, we gathered once again to see the photos of the 2015 summer camp, recalling so many beautiful moments lived and thus encouraging the girls to attend this year’s camp. It was certainly a very full day, lived in the company of Our Mother.